The IT help desk in most organizations is an extremely busy place to work. Help desk staff play an important role in troubleshooting, providing advice and responding to and fixing IT problems when they arise. Of course the most important thing for both staff and the people who call the help desk to use its services is to have issues resolved as quickly as possible. Your staff don’t have to reinvent the wheel and type up the same email responses over and over again. When you have a database of pre-written, or “canned responses” to many common questions they can copy and paste these and amend as needed. Many issues are simple and straightforward and probably don’t need to be referred to the help-desk at all. 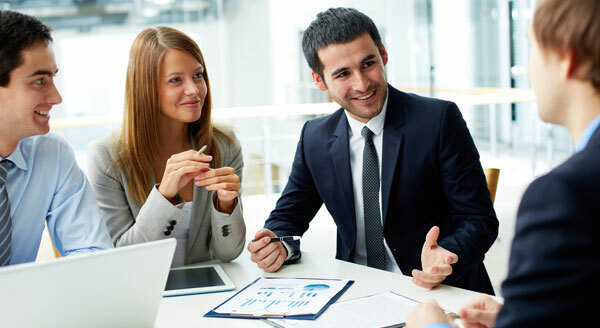 Clients can probably solve these issues themselves if they can be referred to a self-service function with solutions for frequently asked questions. A lot of time is wasted when someone looks at a ticket request to attempt to resolve the problem and finds vague information. This then requires the technician to spend time contacting the client to go over the same information again. A great way to save time is to use the function of remotely logging on to a user’s computer via remote session tools. This is a good way to solve many IT problems without a technician actually having to physically visit the computer in question. The helpdesk can quickly become overwhelmed and overloaded when there is a significant issue affecting a large number of staff. For example if the internet has gone down in one of your offices, or email is down completely for the entire organization. 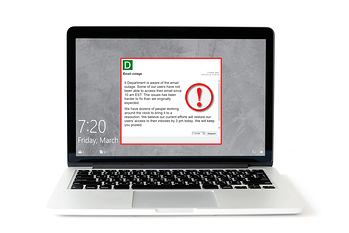 With DeskAlerts you can send messages in the form of a pop-up notification to all the staff affected by the problem with an estimated time of restoration to take the pressure off your help desk. If the situation changes, send further updates to those affected employees. It’s a familiar scenario in many organizations: someone will physically approach the IT staff at their desks or in the kitchen, or even as they’re walking down the hallway and ask questions or request a solution to a problem. When dealing with a client face-to-face it can be hard to say no, and this person can get prioritized over other existing work. Insist that these people request their job through the proper channels, whatever they may be in your company. It may be phone, email or logging a job through an online portal. The amount of work doesn’t change, but the helpdesk’s ability to schedule and prioritize its workload is improved. If you have a weekly, fortnightly or even monthly team meeting just for the sake of catching up to discuss workloads, consider eliminating these entirely. Instead only hold meetings when there is something critical to discuss.